A character drama set in a limited location, 2017�s The Dinner introduces us to two brothers. Paul Lohman (Steve Coogan) used to teach history, while Stan Lohman (Richard Gere) enjoys a position of prominence as a politician. 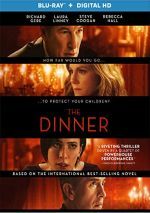 Along with Stan�s wife Katelyn (Rebecca Hall) and Paul�s wife Claire (Laura Linney), the brothers meet at a posh restaurant to discuss a problem. Their teen sons committed a crime and the brothers debate the best way to handle this issue. Boy, that synopsis makes the film sound awfully boring, doesn�t it? Four people yammer away for two hours about how to deal with their over-privileged offspring � that doesn�t promise �searing drama�. In truth, the titular meal occupies surprisingly little of the film�s running time. The four main actors don�t sit together at the table for much of the movie, a choice that seems strange given the flick�s premise and title. And while I�m being honest, the issues related to the behaviors of the teens turns into a relatively small aspect of the narrative as well. While it exists in the background and motivates some of the action, these events don�t dominate like the movie�s concept implies. So what do we get from Dinner? A lot of Paul and his mental issues � lots and lots and lots of that. Far too much of that, I think, mainly because Paul presents such a relentlessly unlikable character. Dinner nudges toward attempts to explain his behavior as it goes, but these motions don�t work well, so we�re left with a lead who we find actively loathsome most of the time. Not that Paul exists in a vacuum. While he may bring us the least charming of the group, I struggle to think of a single endearing personality in Dinner, as it turns each and every one of its parts into some form of monster. Perhaps the filmmakers intended to make a skewed point, as they twist convention. How many movies give the politician the most humane through-line and warp the loyal wife/cancer survivor into a bad person? Whatever purpose these choices serve, they don�t work. I can support movies that emphasize badly flawed characters but not when those movies submerge is in unrelenting misery without any sense of real purpose, and that�s what mars Dinner. I get the impression the filmmakers think their tale reveals truths about the darkness that resides within all of us, but this theme lacks insight. We don�t get a grasp on what motivates the roles or allows them to believe in such terrible ways, so instead, we simply wallow in the cruelty and depravity. Despite the problems with the characters as written, the actors do their best to flesh out the roles. Though he spouts an awful American accent, I do appreciate Coogan�s refusal to soften Paul�s edges, and the others embrace the flaws in their parts as well. Unfortunately, The Dinner remains too gratuitously ugly and absent from depth to prosper. We�re stuck with two hours of cruelty, anger and insults that fail to deliver insights of any substance. The Dinner appears in an aspect ratio of approximately 1.85:1 on this Blu-ray Disc. The movie offered a largely positive presentation. Overall sharpness satisfied, though some minor exceptions occurred. This meant a smattering of wide shots demonstrated a little softness, but the flick usually came across as accurate. No issues with moir� effects or jagged edges emerged, and I also witnessed no edge haloes or print flaws. Dinner opted for a stylized palette that favored reds and oranges. Flashbacks tended toward a blown-out yellow, while scenes of the teens� crime took on a cold blue. The disc replicated these hues in an appropriate manner. Blacks appeared fairly dark and dense, while shadows were mostly fine. A few interiors appeared a little thick, but those remained the exception. Ultimately, the image worked well. I felt the same about the film�s DTS-HD MA 5.1 soundtrack, as it provided appropriate accompaniment. Given the movie�s character focus, the soundscape didn�t come with dazzling information, but it opened up matters better than expected. The weakest link came from scenes in the restaurant, as the use of the surrounds to present the sound of other diners tended to seem awkward and unnatural. Other elements used the various channels in a more involving way, though, and the echoes of war at Gettysburg mixed with implications of Paul�s mental state to flesh out the speakers nicely. Audio quality seemed strong. Speech appeared natural and concise, while music came across as full and lively. Effects also appeared accurate and showed nice range. Nothing about the track dazzled but it suited the story and showed more pep than I anticipated. For extras, the main attraction comes from an audio commentary with writer/director Oren Moverman and actor Laura Linney. Both sit together for a running, screen-specific look at story/characters, cast and performances, music, sets and locations, influences and related areas. This turns into a mostly informative chat. Moverman does most of the heavy lifting, but Linney acts as a lively partner and she helps motivate much of the discussion. Despite some of the inevitable happy talk, the commentary works well. We also find a Photo Gallery. With 11 shots, it mixes images from the movie and from the set. It becomes an underwhelming collection. The disc opens with ads for The Hero, Beatriz at Dinner, Lady Macbeth. No trailer for Dinner appears here. A drama based around intense family complications, The Dinner comes with a good cast and much potential intrigue. Unfortunately, the consistently irritating and grating nature of the characters makes it a chore to watch. 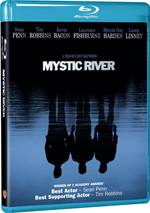 The Blu-ray provides mostly positive picture and audio along with an enjoyable commentary. The Dinner leaves me disenchanted.